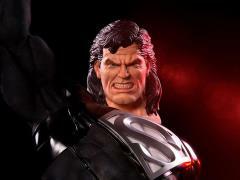 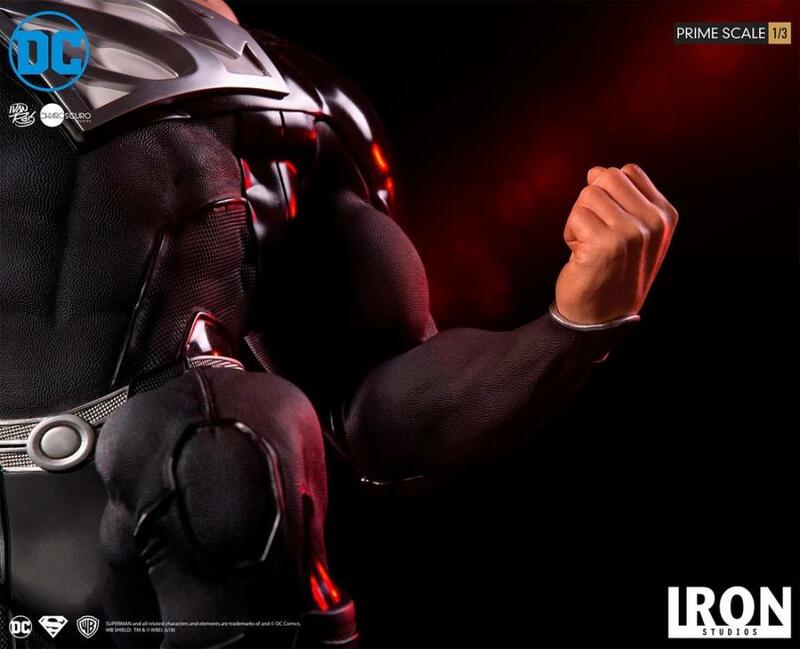 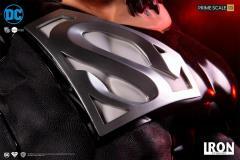 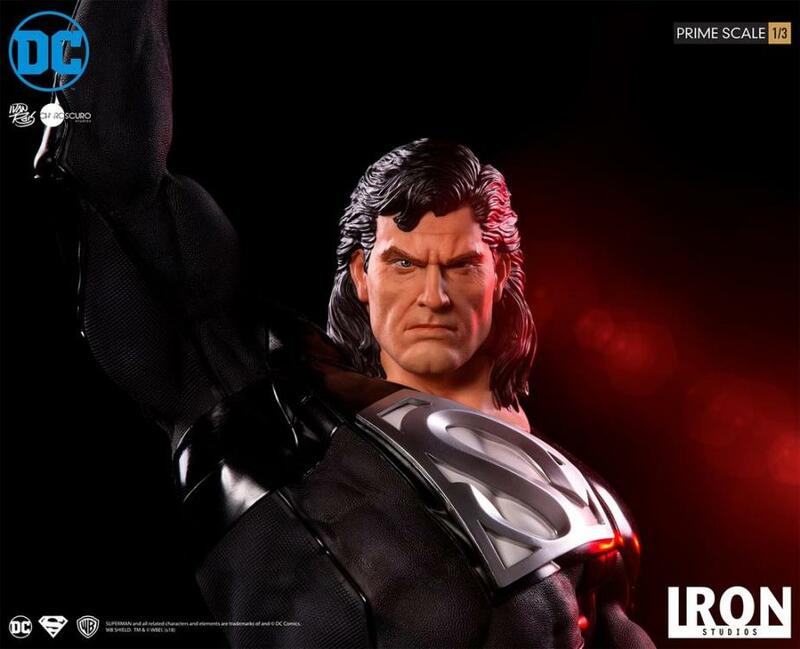 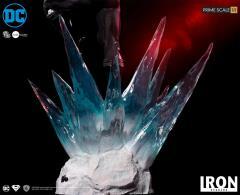 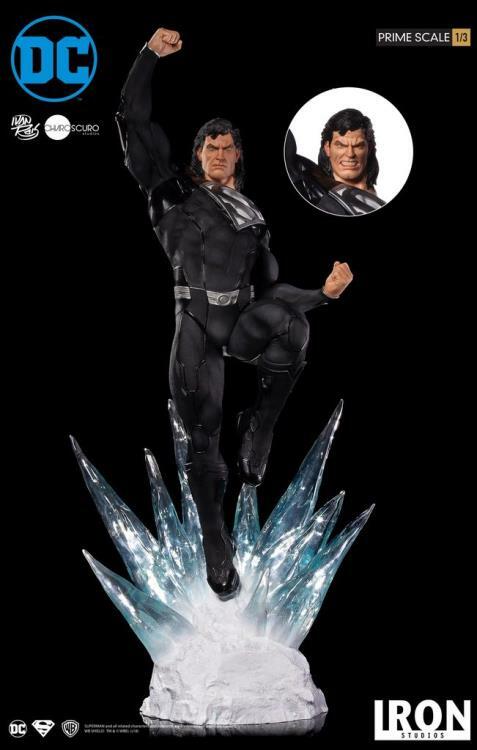 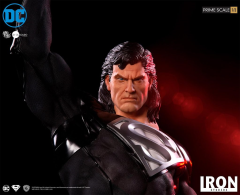 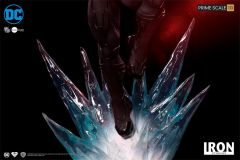 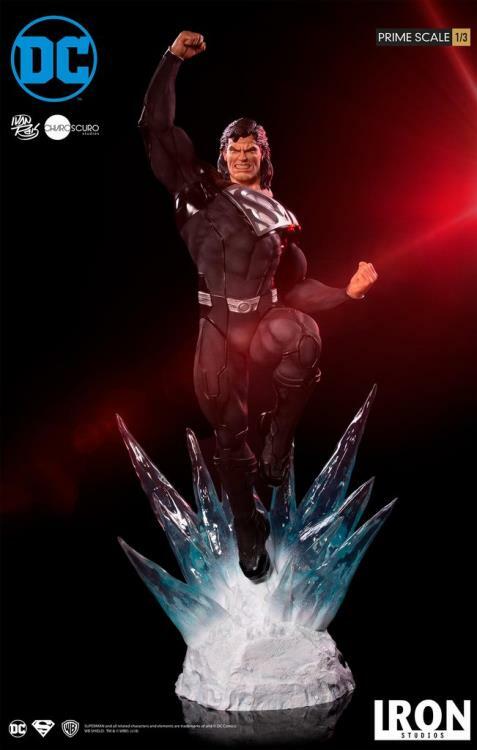 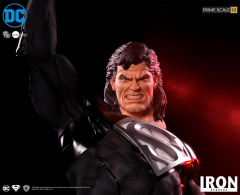 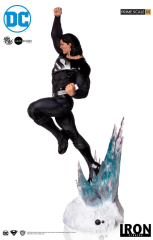 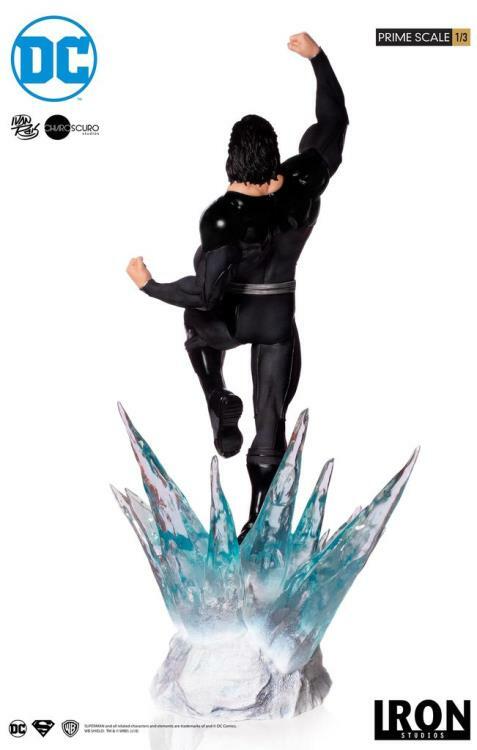 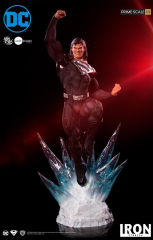 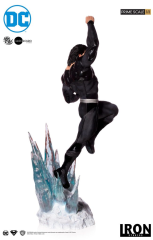 Iron Studios presents the Superman (Black Suit) Prime Scale Statue. 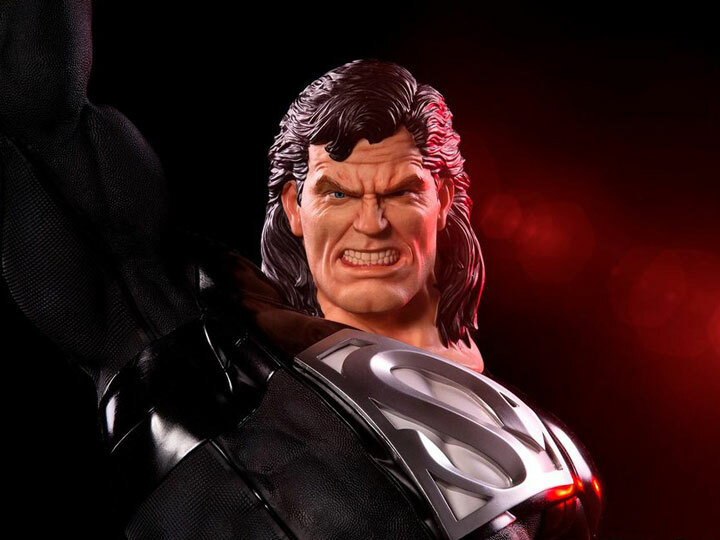 Based on concept art by Ivan Reis (DC Comics official artist) of Chiaroscuro Studios. This hand-painted polystone statue features two head options and an LED light-up base.